An oustanding value! With the addition of the all-new Madison RK-R35, banjo players have an option of a high-quality, great-sounding banjo with a classic Mastertone-style tone ring and flange. Includes a hardshell case. Our Madison RK-R35 gives banjo players the option of a high-quality, great-sounding banjo with a classic Mastertone-style tone ring and flange. The Recording King Madison RK-R35 is built around a 3-ply steam bent maple rim, from the exact same construction and materials used in the best-selling RK-R80. It has a maple neck with an adjustable two-way truss rod and a comfortable rosewood fretboard. With a 24-hook brass tension hoop, players can adjust the head tension as precisely as on any world-class banjo. The planetary tuners, geared 5th peg and dual coordinator rods are effective professional components, and add an authentic feel to these impressive banjos. The Madison RK-R35 has a maple resonator with a hand-rubbed brown matte finish. We build it with a Mastertone-style bell brass cast tone ring and a Mastertone-style one-piece flange. The Madison peghead and fretboard feature our Seagull inlay, for a banjo that looks as classic as it sounds. The American threaded nickel-plated hook and nut hardware, as well as the true presto-style tailpiece and armrest are the same as featured on the popular RK-Scout. 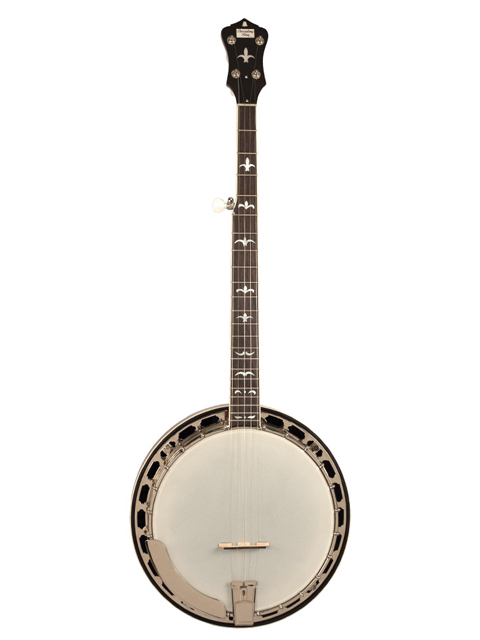 Like the other Madison banjos, the Madison Deluxe comes standard with an authentic Remo head. The R-35 is a great seller. A very popular instrument among the traditional players. It resembles the look of the pre world war 2 banjos. A great sounding instrument for the money spent here. It has a satin finish and a very comfortable neck profile. Designed by Greg Rich, this bluegrass banjo features classic pre-war styling, recalling the most supremely crafted banjos from the Golden Age of musical instruments. Now available in left- and right-handed models. The RK-R80 offers a pre-war (WWII) sound at an affordable price. An oustanding value in a professional-level banjo, hard-shell case included! Banjo players have an option of a high-quality, great-sounding banjo with a classic Mastertone-style tone ring and flange. Modeled after the original Mastertone banjos of the 1930's, the Recording King RK-Elite offers players vintage sound and handcrafted construction.